The expansion of university places at local institutions has led to a dip in the number of Singaporean students at some private schools here. Singapore's biggest private school - the global education arm of the Singapore Institute of Management (SIM) - has for the first time in a decade seen fewer local student numbers. In 2013, its total enrolment hit a high of 23,000, with 20,000 locals. Last year, the number fell to 21,500, with 18,000 locals. Its foreign student numbers though are on the way up - from 3,000 to 3,500 last year. 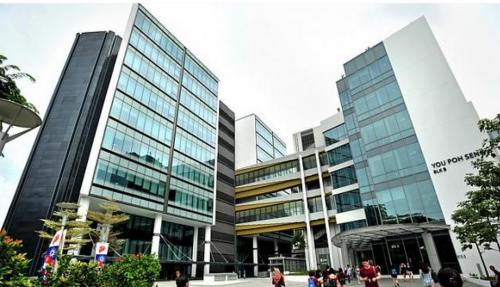 The East Asia Institute of Management (EASB) in Balestier did not provide student enrolment numbers but said it too had seen a drop of 20 per cent in applications and local student numbers. It is the same case for MDIS, another long-established school, which has seen a drop of close to 30 per cent in the number of local students. James Cook University, which recently moved to a new campus in Sims Drive, also reported fewer applications from locals, but officials expect its local student numbers to go up again at its new campus. Officials from these schools attribute the dip to the increase in university places, especially at the new Singapore Institute of Technology. This means that up to 20 per cent of polytechnic graduates are able to secure a place in these institutions when, just a few years ago, only 15 per cent of polytechnic graduates won a place at the local universities. Polytechnic upgraders make up the bulk of the local students entering private schools. Mr Andrew Chua, who heads EASB and the Association of Private Schools and Colleges Singapore, said the falling number of local students is an issue that has come up among the association's members. The number of local students is expected to fall further as the Government has pledged to increase the number of places at public institutions here to 16,000 by 2020, giving students a 40 per cent shot at a university education at home. Private school operators, though, are unfazed. They are stepping up their marketing efforts in the region to draw more foreign students. Dr R. Theyvendran, secretary- general of MDIS, said the school is looking at its overseas operations in Tashkent, Uzbekistan, and Iskandar, Malaysia, for further growth. Meanwhile, Mr Lee Kwok Cheong, who heads the SIM global education arm, said that with its expanded campus in Clementi, the school can now provide a full university experience. He said giving students thatexperience and raising the quality of the school's programmes would help it continue to draw locals and foreigners. The campus was expanded last year to the tune of $300 million. With the doubling of the campus size, there are new sports and performance arts spaces. Mr Aidan Tan, 21, who failed to land a place in the local universities to study business, said he was initially disheartened. "But after visiting SIM, I realise that I am not going to lose out on the full university experience," he said.